for Benefits to our Children, Home, and Earth. 2. Live frugally within your means (Do not become a ‘consumer’). 3. Reduce materialism to a minimum (Become a minimalist). 4. Use a bicycle as much as possible to reduce your Carbon Footprint. 5. Live close to your school or work place. 6. Walk more for good health (avoid short car trips). 7. Reduce uses of gas, oil, electricity. Turn off lights. 8. Wear heavier clothes in winter time. Lower room temperatures. 9. Turn off furnace gas pilot lights in summer and fall. 10. Develop your mind, your spirit and closer relationships. 11. Embrace “Reverence for Life” and the life of Albert Schweitzer. 12. Practice compassion. Care for the less fortunate. 13. Vote regularly (it gets the politicians attention) … Very Important! 14. Live better now by taking the best from the past and the best from the modern times. … Avoid being trapped by the constant lure of new gadgets. 15. Live closer to Nature (read Henry David Thoreau on Walden Pond). Reduce Climate Change and enhance personal life quality… Both! Transform our Culture to conform to 21st Century needs. And Get Rich ….. Slowly over the Years. The knowledge of Frugality as a core value will help each child to save rather than to spend. This will equip them with more ability to chart their own destiny. It can prevent them from falling into poverty and despair. They will learn about the false values of owning more stuff. Excess materialism is a bad habit and is to be avoided. They can enjoy better health by reducing the stresses of materialism. They may then enjoy a longer and more meaningful life. Their own children will thus also be more advantaged and better citizens. Everyone can be healthier, and our crowded Earth can be healthier. Is anything more important than a healthy Earth! Even a 3-Year Old Child can learn that the Earth has only so much air and water and land and that these must be protected and respected. If they learn about Pollution Reduction pror to the age of 5 years, it will stay with them for life. The habits of frugality and of saving are powerful habits when started early. They benefit both the rich and the poor as they all struggle for jobs in an ever-changing world. Savings in the early years can result in enormous advantages later on. Investment opportunities will emerge, and savings in conservative ways can grow significantly by retirement age. The more successful ones can even retire early (such as the author). Such personal “Liberation” can then become the “Real Beginning of Your Life”. That is a worthy goal for everyone. It is essential to teach respect for every human life and for animal life and how best to interact with each other. We can reduce violence, mistrust, and bullying in our society. We can teach smarter by making the classroom subject matter more meaningful to young lives. Children need to learn the social skills they can use in their everyday lives. Give children more choices to keep them interested in school. Teach stories about great people and potential role-models. One recent example is how Albert Schweitzer (1875 – 1965), a protean genius, lived his life to serve others. His life-message was “Reverence for Life” and “Learn to Serve and to Give Back”. Teach history by reading the biographies of selected famous people. History can come alive and be easier to relate to when visualizing a real person. History becomes an interesting story. The stimulated student will be introduced to good character, and some of the qualities needed to meet future challenges. These needed changes will be a challenge to educators and to teachers. Our teachers need to insist upon smarter teaching, now. … We must keep students from dropping out of High Schools. Teach critical thinking skills to arm the child against the clever advertisements, salesmen, and politicians. Teach the values of honesty, integrity, trust, love, and responsibility. Lessons learned early will build upon themselves and therefore will be more valuable than those learned later in life. The future can be brighter if we are wise enough to make the required adjustments in grade school education. We can merge the finest values from rural 19th century life with the virtues of 21st century technology. We can rapidly phase out the burning of fossil fuels and our other polluting ways. These destructive habits can be replaced with a culture of sustainable practices. The polluting ways will not be missed. I wrote about 19th century living as detailed in the book “The Saga of the Seven Sisters” (available at Amazon.com). It describes the lives of a large family growing up in remote and forested northern California in the days before electricity, autos. and telephones. There were no supermarkets and the nearest doctor was a two-day journey away. They were educated in a one-room K-8 school house. Nevertheless, their 14 children all grew to become productive citizens of high moral character. They lived long and healthy lives where 5 of the 14 lived over 100 years. What does that say about living in simple times? They must have done many things right. Their lives had real meaning, joys and fulfillment. Certainly, we can find ways in this century to live long healthy productive lives also. Changes must lead to more balance, fairness, peace and mutual respect. Our parents, educators and teachers have a paramount role to play to advance a healthy and sustainable world. Teach our children their roles for tomorrow’s world. A Thrifty Habit, learned early, is a fortunate beginning! The author had the advantage of growing up in the 1930’s during our Great Depression. It was a time of a Thrifty Culture. Everyone was frugal and thrifty, yet generally content with their reality. It was our “New Normal”. Clearly, all of the wise words and creative ideas exchanged in our intellectual circles are not enough to stop our global warming. Nor do they solve our political problems. Only a more enlightened generation of voters can effect positive changes of a lasting value. A Determined grassroots effort over many generations can prevail. Each one of us can do something. This is an Action Plan for All. Think of the results after several generations … This may be a 50-Year Project. Save the Earth while getting wealthy. What can be expected when our planet gets warmer? 1. The ocean levels will rise and many islands will disappear along with parts of Florida and other low elevation coastal areas. The warmer water expands and will cause rising sea levels. Millions of people will thus be forced to relocate worldwide. This Global warming can accelerate more quickly than generally expected. It has already started! 3. Panic will affect the financial markets and more fear will spread throughout the lands. The wealthy will tend to do well but the poor will parish or resort to a tenuous survivor mode. 5. All of the good and progressive actions taking place today by many people of goodwill and high integrity will be for naught! Global warming will have destroyed it all. Our priorities will be reduced to survival and protection. There can be no higher priority today than to stop wasteful habits and “Stop Living Beyond Our Means”. OUR EARTH CANNOT DIGEST ALL OF OUR GARBAGE. We must act fast to prevent total disaster. I have chosen to live within walking distance of shops and services and am thus able to walk for most of my shopping needs. My car (23 years old) is in my garage for maximum protection and durability. I try not to use the car for short trips. Cold engines run less efficiently. I shun advertisements and the purchase of almost all advertized products. Less is more in a frugal life-style. Yet I have everything at my fingertips via the internet and email. I have traveled to Europe, Asia, Canada, Mexico, Panama and many States, but I can now enjoy the world on PBS TV travel programs. PBS radio programs are another source of endless fascination and amusements. Radio and TV create no polluting gases as do airplanes, trains and tour buses, yet can be just as fulfilling compared to actual travel. The cerebral experience is very exciting. the Captain of your own destiny. 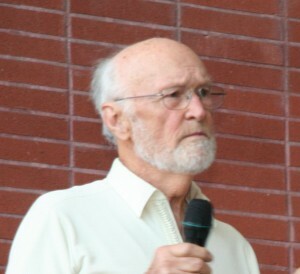 Gil Patchett, Naturalist and Author. Fifth generation Californian and U.C. Berkeley graduate. Proudly leaving a Small Carbon-Footprint! … Grassroots suggests a start at ground level … With the Children … Sadly, our leaders move too slowly and start too late. less spending on the Military. Those who will thrive and vote for better representatives will be those who have formed thrifty habits early in life. A Good Habit will serve you well; … Avoid Bad Habits. The Wise and Thrifty will become Wealthy over Time ! I am unsure where you’re obtaining your information, but great topic. you for fantastic information. I was trying to find this info. Oh my goodness! an incredible article man. anything like this before. So great to find somebody with genuine thoughts on this issue. your needs? I wouldn’t mind writing a post or elaborating on a lot of the subjects you write related to here. understand such exact about my difficulty. You’re amazing! Gil do you wish to help tell the Golden Gate formation in nature as the cornerstone lesson in 8th grade US History? You have a 501c3 charity? Palavras-chave: Linguagem PHP, Programação, Web. I pay a visit each day a few sites and information sites to read articles or reviews, but this website provides feature based articles. for. Youu have ended my four day lengthy hunt! a look forward to your next publish, I will attempt to get the hold of it! includeѕ lots of helpful facts, thanks for prοviding these statistiⅽs.